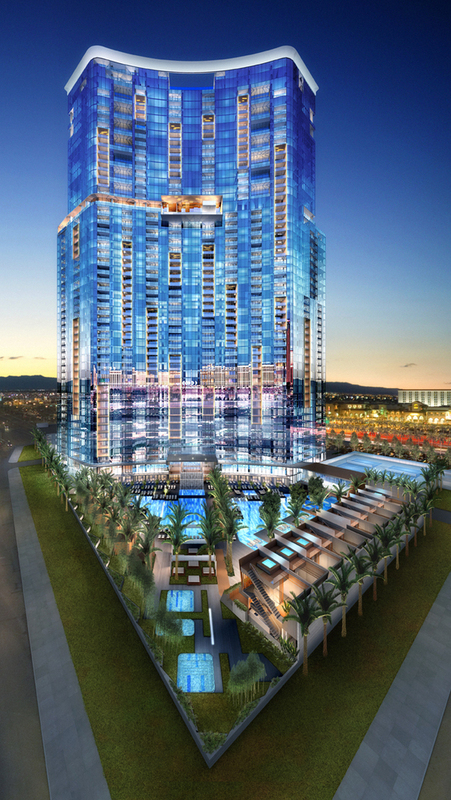 Vegas 888 | Cary Kopczynski & Company, Inc.
Vegas 888 will become one of the premiere residential condominium addresses in Las Vegas. When complete, it will encompass 1.7 million square feet of constructed facilities including a 51-story tower of 1.2 million square feet and an additional 500,000 square feet of parking and amenities. The structure will be constructed of cast-in-place concrete with post-tensioned slabs and a highly efficient dual system for carrying lateral loads. The lateral system will incorporate two cast-in-place concrete cores which will share wind and seismic forces with a slab/column frame. This will minimize reinforcing steel quantities, a primary objective of the structural design due to recent cost inflation of steel.